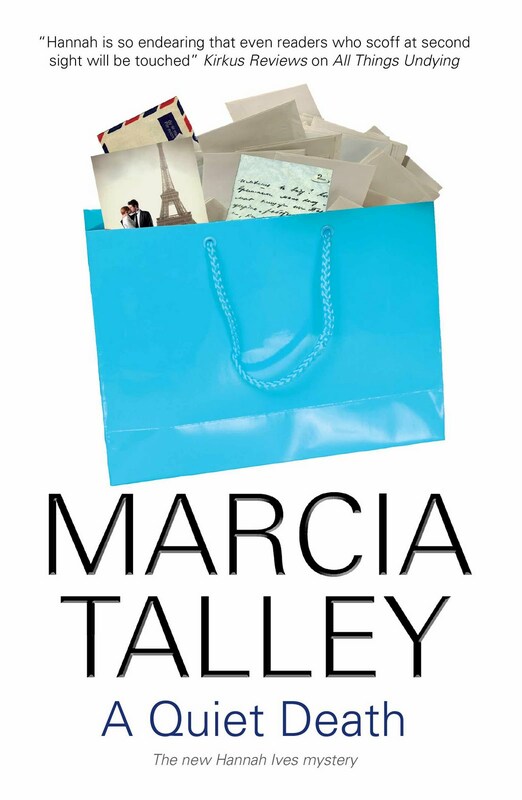 “When I got cancer, I decided I wasn’t going to put up with crap from anybody anymore.” That’s how Marcia Talley introduces me at the beginning of SING IT TO HER BONES. She’s a cancer survivor, too, you know. Jeesh! I’d been trying to tell her that. I’d read Nancy Drew as a kid, the Hardy Boys, too. What I wanted to do was solve mysteries. It took a while before Talley was able to trust me, especially after I drove her car into a pond in SING IT TO HER BONES, but ten books later she lets me do all those things she’d never have the guts to do like picking locks, driving too fast, and spying on people. I didn’t go looking for adventure at first. I was hanging out at my sister-in-law’s farm south of Annapolis, Maryland, waiting for my hair to grow out after chemotherapy. I took Connie’s dog for a walk, and when he started poking around an old well, my hat fell in. Tried to fish the darn thing out with a stick – couldn’t go home practically bald, could I? – and, yikes! Turned up a body, instead, that of a sixteen year old girl who’d been missing for years. When my daughter, Emily, was about the same age, she was quite a handful – trailing along after a rock group called Phish, dating losers. I’d been able to salvage the relationship with my daughter – who now runs Spa Paradiso with her husband, Dante, and gave me three beautiful (and talented!) grandchildren. But the Dunbars will never get that chance. The look on the faces at the funeral tore at my heart, and I decided right then that I’d try to find out who was responsible for their daughter’s death. My husband, Paul, says I’m too wrapped up in other people’s problems, that it makes him crazy when I put myself in harm’s way like that. In THROUGH THE DARKNESS I organized a Go Navy/Beat Cancer team and ran the Komen Race for the Cure with Valerie, a friend who had sold her life insurance policy to a third party investor – a creepy practice called a viatical settlement – when she thought she was dying. Then Valerie went through an experimental protocol at NIH and was cured, which didn’t make the investor particularly happy when she didn’t have the good manners to die on schedule. Before that little adventure was over, I’d managed to get myself and my elderly friend, Naddie Bromley, locked up in a posh wine cellar by a couple of thugs. It’s not my fault that my life is a continuing soap opera. Honest. Every time I turn around, I bump into somebody who really needs to die. Having a mystery writer in the family is a big advantage there. 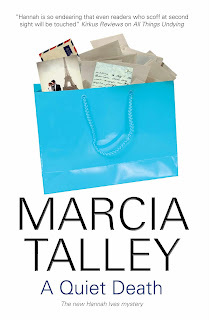 In her novels and short stories Talley’s bumped off my husband, former bosses, miscellaneous relatives-in-law, and the woman who married my father after my mother died. Cheaper than a therapist, right? And twice as satisfying. I was recently returning from a charity luncheon in Washington, DC, when -- Oh. My. God. there was a horrific crash. Broke my arm, but managed to stay by the side of my injured seatmate, reassuring the guy until emergency workers freed him from the twisted wreckage. Eventually they discharged me from the hospital with my ‘belongings,’ including a distinctive shopping bag I last saw in the hands of that poor stranger on the train. When I looked inside, I found letters and photos that documented a decades-long love affair between Lilith, a free-spirited young artist and her married lover, Zan. The young woman – smiling out of the photos at me with bright, intelligent eyes and looking so much like Audrey Hepburn in Roman Holiday, fascinated me. I had to reunite the bag with its owner! The guy on the train had probably died from his injuries; besides, I didn’t even know his name. When I tried to track him down, it started to get messy, fast. Before I knew it, everyone seemed to be trying to lay their hands on Lilith and Zan’s letters. A QUIET DEATH eventually led me to a tiny cottage on Maryland’s eastern shore where I learned what a fine line there is between love and hate, forgiveness and betrayal, and how easy it is to cross over that line to murder. So, what am I doing now? I’m taking a breather, having been tapped to participate in a reality show called Patriot House set in an historic home in colonial Annapolis. What a hoot! We’re all living as if it were 1774, and the costumes are to die for! It’s the perfect setting for a murder, don’t you think? The classic closed circle – like the English country house -- but with video cams running practically 24/7. Talley’s not finished writing it yet, so if you have any candidates who deserve death by some delightfully devious 18th century method, please let me know. I’ll pass the word. Oooh, for a nasty character folks wouldn't mind seeing die, how about a plagiarist historical romance author who is participating in the reality show for 'research', but who is really there to... hmmm. Don't know. Hannah, I'm glad they didn't lock you in the hoop skirt era! @Janet. Would you believe pocket hoop farthingales under my petticoats? These 18th century dresses are gorgeous -- and I'm having one made out of "flamynge silk" specially for a big ball at the Annapolis State House, one of the culminating episodes of the show -- but where are dry cleaners when you need them? After dancing the minuet for a couple of hours ... phew! @Victoria. A plagiarist historical romance author? Delicious! I'll pass that one along for sure! Thank you so much for being our guest today, Hannah. Thanks so much, Skye. Sorry for that earlier comment about therapists. Totally forgot that you're a therapist! Nothing personal, you understand. Ooo. The dress sounds fabulous. And I love Annapolis -- it's a marvelous setting for a murder! Krista, I'm not sure what the body count is for the books Talley writes about me, but I it seems to me that there have been bodies from Eastport to Hillsmere to Edgewater -- not to mention the five nice old people at the Ginger Cove Retirement Village. She's a menace! @ToniD. When you go back for a reunion, he's gonna eat his heart out! Marcia: or I'll cut it out. heh.